Since I started running last March, the online running community has proven to be an invaluable resource and support system. As I’ve grown as a runner, I’ve relied more and more on this community. One of the most incredible things about this community though is the fact that 99% of the people that I interact with I’ve never met in person, yet I feel as though I’m able to connect and relate to them in so many different ways! 1. The online running community provides a network in which to bounce ideas off of one another and gain additional insights into various races and running related products. If it weren’t for the online running community, I would have never learned about the benefits of compression socks and sleeves or many of the races on my bucket list, particularly the Shamrock Anthem Half Marathon. 3. There are a variety of different networking groups runners can join, particularly on Facebook. I belong to a number, including Team #runDisney, Sweat Pink Ambassadors, and FitFluential Running. 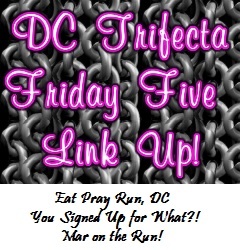 These groups not only allow me to network with other bloggers, but my membership in some of these communities has led to some opportunities, including the Spartan Race Giveaway that I recently hosted. 3. Runners support one another, regardless of where they live or how fast of a runner they are. Generally speaking, most runners are there to provide encouragement to each other, particularly when runners really need it in order to overcome an injury or another obstacle in the way of their training. 4. Twitter chats are some of the most exhilarating hours of one’s life. During these chats, runner discuss any and all aspects of running and other fitness activities. Nothing beats the excitement and fast paced weekly #RunChat every Sunday evening. On nearly everyday of the week its likely that a Twitter chat is being hosted, and these chats have fostered many of my virtual relationships with other runners. 5. Meeting virtual running friends in person for the first time is beyond exciting. 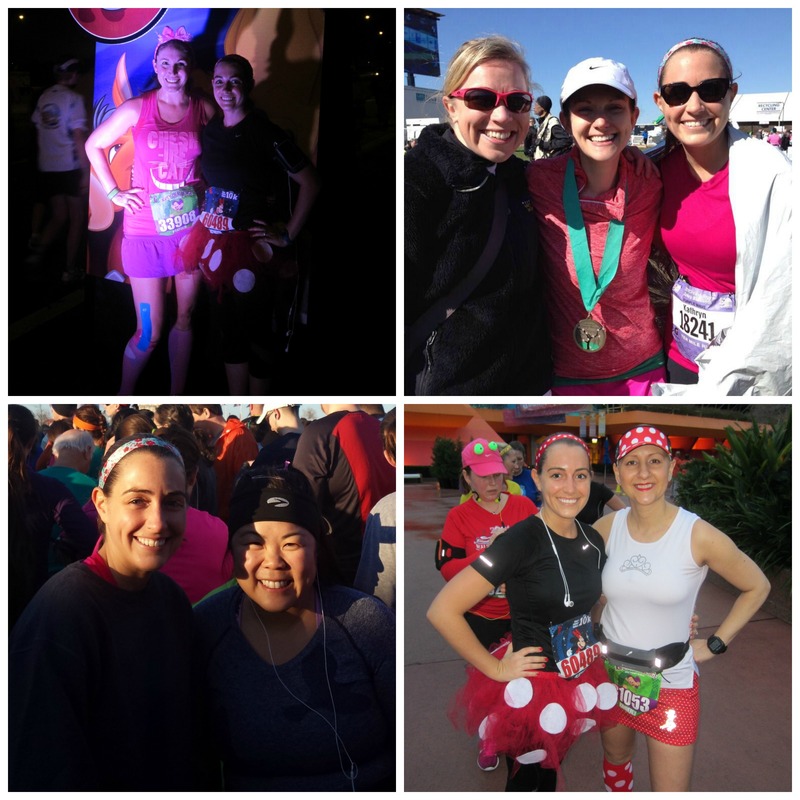 I’ve had the privilege to meet some of my favorite bloggers in person, including Heather from Through Heather’s Looking Glass and Kimberley from Maker Mother Marathon Runner during Disney World Marathon Weekend. This past weekend at the Cherry Blossom Ten Mile Run I also met Cyanne from Run Stretch Go, Jenny from Run Jenny Run, and Christine from We Run Disney. QOTD: What do you love about the online running community? This entry was posted in Motivation and tagged #RunChat, bloggers, FitFluential, Friday Five, online running community, social media, Sweat Pink Ambassador, Team #runDisney. Bookmark the permalink. Ahh…..the running community is mostly wonderful. Connecting with people all over the world about one of my favorite things has been so much fun. With my recent dog bite, I have been totally overwhelmed with the kindness sent my way. The support given and received from our running friends over the last four years has been amazing! I’m only a year into running and blogging, so I can only imagine the feelings I’ll have when I’ve been at it for four years like you have been, Pam. The online community definitely keeps things interesting and makes running a little bit more exciting! What a great way to connect with people and make friends! Since I/we have started blogging and been on social media we have met so many great people in the running community that have the same interest. It’s nice to share stories about our experiences and get helpful tips from one another. 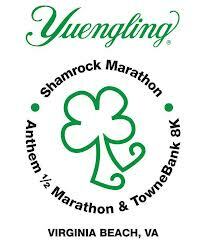 And yes, shamrock marathon is a great weekend. Probably my favorite out of all the J&A series. I’m very highly considering Shamrock for 2015. Not many of my friends are runners, so I completely understand how you feel. The online running community has definitely helped in filling that void. I am a big fan of the community, almost all of the time. I’ve made some phenomenal friends and I agree that the support is awesome. The one aspect that concerns me with any online community is it’s easy to hide behind your keyboard so there are the inevitable snarky, semi-mean comments that emerge from time to time. I often try to overlook the few negative experiences I’ve had with the online running community because as you said, the positives definitely outweigh the negatives. It was so great to finally meet you in person last weekend. Can’t wait to see you at another race! The online running community is amazing! We are a group like no other! I love being a part of it! My favorite part is how encouraging everyone is regardless of how fast or slow you are! Love it! I’ve been so thankful for that, Mindy. I am by no means fast, but the support I’ve received from so many other runners online has been incredible. The online running community rocks. I love the positivity that surrounds it and the level of support that is there. (Also, #runchat is awesome). I agree, I couldn’t have imagined how great the online running community was until I started reading blogs at the end of last year. Since then, I have found a wealth of support and information here and it has been amazing! I never imagined it either, Chaitali. If I had known how great it would be I would have joined Twitter sooner than I did. Love this to the nth degree! the online running commuity rocks! I love the online running community too! So supportive. I am pretty sure I never would have considered running a marathon before it and this fall I plan to go back for my second. I also love #runchat!! Way to go, marathoner! I’m still not convinced that a full marathon is in my future, but several in the online running community seem to think so! You know what’s great about this article? You’re also providing resources for us newer bloggers to look into! I am not familiar with some of these networks, so it’s great to read something like this and learn something new! Glad I could help direct you to some new resources! That’s one of the many things I love about blogging – there’s so much out there to discover everyday! I love this post!! The running community has been amazing – in just 6 short months I’ve met a great group of people. So thankful for everyone’s support, wisdom and friendship! I’ve been amazed at how much I’ve learned from everybody in such a short time as well. Oh I so agree! The running community has been such a great source of support and inspiration! I’m not really a runner – I love exercise (running is just not my favorite) and blogging, so I do see ALL these running blogs and communities. Even from an outside view it’s pretty amazing. When that article in SELF poked fun at running it a tutu, another blogger friend posted “they should NOT have done that, they have NO idea how the running community as a whole will be up in arms” and I was impressed at how quickly and far reaching that support went! The recent response to SELF is just one of many examples of how strong and powerful the online running community is. Fun post – I love the emphasis on the positive and I’m a member of some of the groups you mention! Love the online support and info.